Most of us have used the phrase "beauty sleep" at some point in our lives, whether it's to justify turning in early on a Friday night or sleeping late on Saturday (or both!). But does sleep actually make you beautiful? 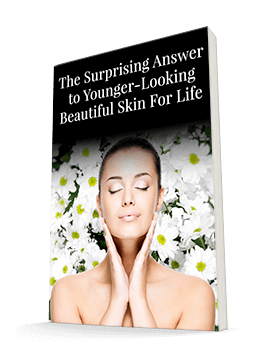 The answer is an emphatic yes, at least when it comes to having healthy, beautiful skin. Sleep does amazing things for your skin, from decreasing inflammation to increasing hydration. And if you don't get enough sleep, pre-existing skin conditions like eczema and psoriasis can worsen. Insufficient sleep even contributes to weight gain, which is tough on your skin. Plus, you're often gaining the weight from unhealthy snacks, as poor sleep interferes with your hunger cues. Clearly, good sleep is vital to good skin. But many of us aren't getting enough. And this is particularly true for older adults, who may have the opportunity, but lack the ability to sleep well. According to a study recently published in the journal Neuron, poor sleep may be a culprit behind many of the aging population's health woes, including memory issues, cardiovascular troubles, and diabetes. And, of course, obesity and skin troubles follow from the lack of sleep as well. The study found that these sleep woes can start as early as the 30s, causing associated health issues to crop up by middle age. As the brain ages, it has more trouble producing the type of brain waves that promote deep sleep. Production of the right neurochemicals to help us wake up smoothly declines as well. Without restorative deep sleep, we have trouble transferring memories from short-term to long-term storage. And without the right neurochemical balance, we're often foggy during the day, but unable to sleep well at night, creating a vicious cycle. The longer this cycle goes on, the worse your health and your skin get. So it's important to break the cycle and help your brain get back on track as soon as possible. Many people reach for a sleeping pill as soon as they start noticing issues with their rest. But this can actually make the problem worse, as it sedates the brain rather than helping it get back into the right rhythm. You might get a better quantity of sleep, but your quality of sleep won't improve, so neither will your associated health issues. A better solution is Pure Sleep, which works with, rather than against, your body's natural rhythms. It includes hormones and brain chemicals that help your body and your brain relax and recognize when it's time to sleep. It will help your brain be able to generate the proper waves to restore you and your skin from the inside out. This formula takes a couple of weeks to begin to take hold, as it's strengthening your nervous system. It's not simply knocking you out. If you're wanting to sleep immediately, you may want to add 3 mg of a timed-release capsule form of melatonin. This combination will both put you to sleep quickly and begin to make your sleep cycle healthier.